Then…Ira heard the chairwoman announce, “We are awarding the grand prize to a young man who could sell me my own pair of shoes!” And his name was called…In hindsight, this event helped put him on the path for a career in communication. He was a US Army Captain in the Medical Service Corps serving as both a public affairs officer (PAO) and chief information officer (CIO) in the military health system. 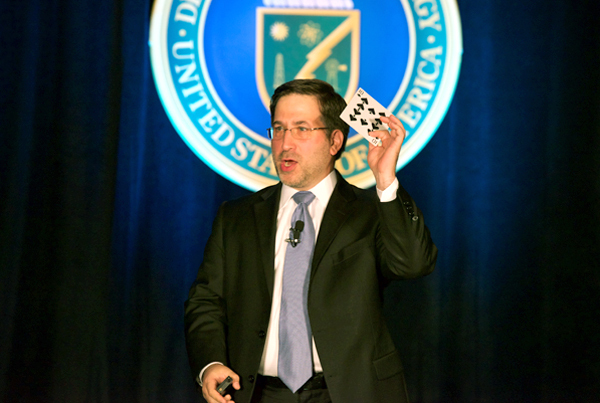 He designed presentations for himself and over 40 military and civilian executives in technology and healthcare. At just 21 years of age, he gained invaluable experience and insights into messaging, communications, and storytelling. Ira has held various leadership roles in marketing and product management. After earning his MBA from the University of Maryland Robert H. Smith School of Business, Ira entered into the world of leading edge technology in the San Francisco and Silicon Valley areas. It is there he started The Chief Storyteller® in 2002. And in 2014, he started ExpandUSATM, to help global companies and executives accelerate their business success in the United States. Like all good communicators, Ira loves the stage. He performed improvisational humor professionally with ComedySportz (San Jose, CA and Washington, DC) in a career spanning 12 years and more than 1,000 shows. He puts to good use these skills as an adjunct professor at the University of Maryland Robert H. Smith School of Business. He teaches public speaking, communication, and storytelling with the student final being a five-minute TED-style talk. Ira improves your individual and organizational performance through better communication. For over 25 years, Ira has been a global speaker, blogger, in-demand trainer, executive coach in communication, and has had over 40 articles published. He has accelerated success for fast growing companies to Fortune 50 corporations, non-profits, charities, and government agencies around the world. He has inspired over 36,000 people from nearly a dozen countries (testimonials, success stories, customers). Contact Ira today about customized services, inspiring keynote presentations, practical and actionable talent development, and personalized coaching.